Nikonians Academy Director Mike Hagen tells us the month of June will be busting out all over with workshops in Seattle-Washington, Edmonton-Alberta, New York City, Dallas-Texas and Austin-Texas. The master schedule shows a comprehensive series of camera, flash and software workshops for each city. Also in June, the Academy will be running a new series of Photoshop for Photographers workshops to initially run in the Seattle, WA area June 24th - 25th. 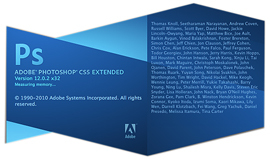 Mike Hagen will be operating these workshops for people who want to learn how to use Photoshop in the real world. He'll be showing you how to create a fluid workflow that includes Adobe Camera Raw, levels, curves, color controls, layers, masking and much more. Check out the specifics for Photoshop for Photographers - In Depth (June 24) and Photoshop for Photographers - Advanced (June 25) to choose your workshop based on your needs. 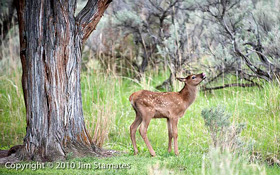 This is your last week to sign up for Jim Stamates' Wildlife Adventure in Grand Teton NP. You will experience the Grand Tetons in the spring, complete with wild animals, the feeling of wilderness, great camaraderie, exceptional photo opportunities, and lots of fun. No strenuous hiking. We have just a few seats remaining for this incredible trip to photograph the wildlife and landscapes of this photographer's dream National Park. Jim Stamates' workshop is scheduled for May 23rd - 26th, 2011. Michael Mariant's workshops are always amazing and his first workshop for the summer season is photographing the Giant Redwoods of Northern California. Beginning on June 23rd, this workshop aims to explore one of the most primeval areas on the West Coast USA. 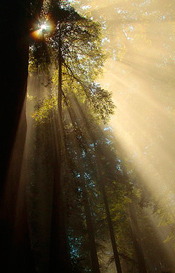 The Redwoods are world renowned for their massive trees, misty forests and verdant fern groves. Michael will get you to all the best places at exactly the right time for beautiful photographs. Don't forget to check in at the Nikonians Academy home page for details and dates on all the opportunities for photography workshops coming to a city near you!